If your cabinet doors are sagging or not closing properly, it is probably the hinges that are at fault. Cabinet doors get a lot of use. Over time, the hinges can become loose or bent. 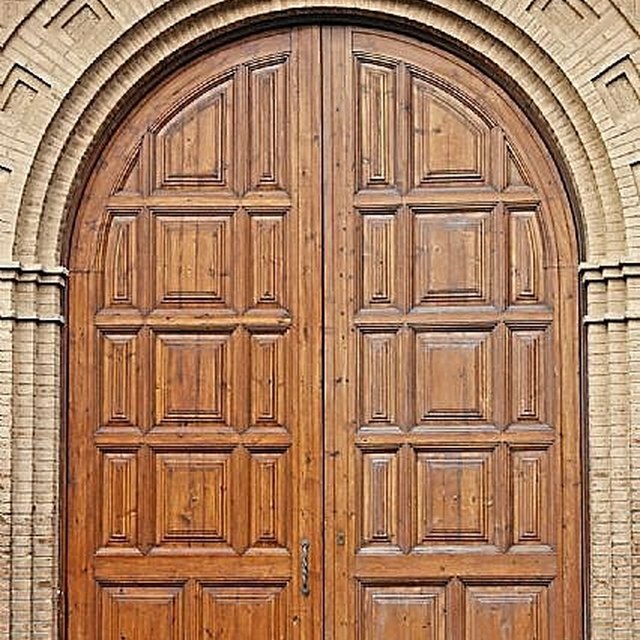 Once you know how to repair the hinges, the doors will work like new. It is a matter of deciding if the hinge can be repaired, or if it needs to be replaced. Open the cabinet door and lift up on it to find where the sagging is. The top hinge is usually the one that needs to be repaired. Tighten any loose screws on the hinge using a screwdriver. Make sure that the door is lifted up while tightening the screws. If the door sags again after this, the holes are worn and the next steps are necessary. Remove the door from the cabinet by unscrewing the hinges from the cabinet face. If the stripped hole is on the door itself, remove the hinge from the door as well. Fill the stripped holes with wood glue. Pack wooden toothpicks into the holes. Allow the glue to dry and cure according to the instructions on the label. Cut the toothpicks flush with the wood after the glue dries, using a small saw. Smooth the area using sandpaper. Drill a pilot hole where the old hole was, using a drill bit one size smaller than the attaching screws. Reinstall the cabinet door on the cabinet with the attaching screws. If this method does not resolve the problem, then new hinges that are different from the old ones will need to be installed.